Summary: Advice for creating a loft, discussing how roof designs influence loft conversions, planning the loft conversion and planning for power and heating when converting a loft. The loft makes up a large proportion of a property’s internal space: space that more often than not is under utilised. This space has enormous potential and with careful planning a loft conversion can greatly enhance the overall living experience, in addition to increasing the property’s value. It is generally accepted that a loft conversion can increase the habitable floor space of a two-storey property by as much as 30%. And with loft conversions usually being less expensive than building an extension onto the property, it is no surprise that converting the loft has become so popular. A loft conversion of any kind involves a great deal of work, so detailed planning is essential. Although there is an almost endless variety of loft sizes and shapes, all loft conversions should be approached in a similar way. In this article we intend to look at the points that need to be considered to enable you to realise the full potential of your loft. 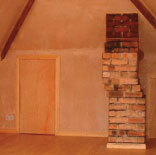 The age of the property can be a significant factor in how suitable the loft is for conversion. Before the 1970’s roof frames were constructed on site using the traditional rafter and purlin method which left a void in the roof space ideal for loft conversions. More modern houses have roofs with A-frame structures that are manufactured off-site. The rafters in A-frame roof structures are supported by a number of trusses or struts throughout the roof space, causing an obstruction and major obstacle in a planned conversion. This problem is not insurmountable but will involve installing supports for the rafters to replace the obstructing trusses. Cutting and removing trusses can affect the structural stability of the roof and must never be undertaken without professional advice. The popularity of loft conversions has resulted in some house builders substituting A-frames with attic trusses. Made from larger timber sections, attic trusses are designed to support the roof and floor loads while leaving a clear area in the roof space for any future conversion. You will also have to decide which of the three types of loft conversion is most suitable for the roof of the property. Roof light – this is the most popular type of loft conversion and involves installing windows into the roof that run flush with the roof’s pitch or slope. Dormer – a dormer conversion is recognisable by a structure projecting from the pitch of the roof which accommodates the window. The roof of the structure can be pitched or flat and ties into the existing roof. Constructing a dormer window in an existing roof is highly difficult, requiring professional advice and assistance. Mansard – the least common, a mansard loft conversion is generally used on properties with roofs that have a very shallow pitch. Properties with a London roof – named after a style of roof commonplace in the capital – a mansard loft conversion is the only option. This is because a London roof will comprise of two planes that rise from a low central gully to higher eaves at their edge. So what type of room can the loft be transformed into? Well practically anything is the easy answer, although some conversions will be more difficult than others. The first stage of any loft conversion is a close inspection of the loft space to find out its exact dimensions and whether conversion is feasible. On entering the loft you need to establish there is adequate room under the ridge of the roof. A measurement of 2.3 metres is required to allow enough headroom and there must be at least 2 metres clearance above the position of the access stairs. The roof should be checked for any signs that rainwater is entering the roof space. The appearance of dark stains on the roof rafters is a strong indication that this problem exists. 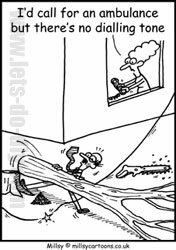 Repairs to the roof must be carried out before starting on converting the loft. The roof joists need looking at too, as they may not be strong enough to support a floor. Standard roof joists are made from 100mm x 50mm timber beams and floor joists for a loft conversion should be 150mm x 50mm or even 200mm x 50mm. With all structural matters involved in converting a loft, it is best to consult a structural engineer or surveyor for advice. Then you must decide on whether the loft is to consist of one open space or whether to divide it with a stud partition to create two rooms. This design feature will undoubtedly be part of the plan where the loft is being converted into a bedroom with en suite bathroom. On inspecting the loft you may discover that the water tank is in the way. There are two possible solutions to this problem: relocate the water tank above the ceiling of your loft conversion or behind a kneeling wall – the low walls fitted between the rafters and the floor. But in both cases the water tank must be placed on a sturdy base. With the major structural design work decided upon, it is now time to plan where the power points, light fittings and switches are to go. This will allow you to plan the circuit route. How the loft is to be supplied with power will depend on the age of the existing wiring, but it may be possible to extend an existing circuit. Otherwise a new circuit will have to be installed. How to heat the loft is another decision that needs to be made. Some loft conversions rely solely on convection, in other words warmth is provided by centrally heated air rising from the rooms below. Extending your central heating system into the loft is another option but this does have disadvantages. Radiators can take up valuable loft space. An alternative to central heating is under floor heating. Laid on top of the floor insulation and beneath the floorboards, the heating cables or mats work differently to conventional heating. A central heating system first warms the air before warming the occupants. Underfloor heating produces a radiant heat made up of heat waves that warm the objects and the occupants in the room before it warms the air. This heating system has several advantages over central heating.